What about music business degree programs? Are they a good idea? Do they give you an edge? For starters, this question begs a bigger question, one that gets debated on this site all the time: Do you need a degree at all to work in the music business? My answer is "sometimes, but not always" — but for now, let's leave that question off the table and focus specifically on music business degree programs. There are two ways to look at the value of getting a music business degree. In a broad sense, you can ask that question about many degrees. Compare, say, having a degree in marketing to having a degree in computer engineering. In today's job climate, that computer engineering degree is going to be a bigger boost when you're job hunting than your marketing degree. There is a component of that that you have to consider when you're selecting your college major, be it music business, theater, or zoology. When you select a major, you have to carefully consider your post-college plans for education and employment. That certainly holds true for selecting a music business degree program. 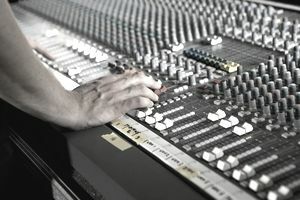 The other side of considering the value of a music business degree comes down to whether the degree will give you a competitive edge when you're looking for a job specifically in the music industry. The answer? It depends. You have to weigh up music business degree programs very, very carefully to make sure they are offering you the right kinds of classes and experiences to give you a great education. Start by evaluating the course offerings. Are they giving you music-business specific classes, or are you getting business classes with some music examples thrown in? Are you getting classes that give you firm information to develop your knowledge of the music industry, or are the classes teaching things that are likely to be completely irrelevant by the time you graduate - for instance, classes on using a specific social media tool instead of classes on web-based marketing in general? Do the professors have real-world experience? That's really important. The biggest factor to consider is access to internships. Do not attend a school with a music business degree program that doesn't emphasize the importance of internships and that doesn't help to facilitate good (as opposed to bad) internship opportunities. Your music business internship can be one of the most important parts of your college career. You have to be cautious about this; in general, internships offered through a reputable school are helpful. Some "internships" offered casually or online are little more than invitations to fetch coffee. Even supposedly reputable major music corporations have been sued for offering what the interns' attorneys claim are useless internships. Why does a good internship matter so much? The cold, hard reality is that, while education is important, experience counts just a little bit more in the music business. Your music business degree will not give you a competitive edge over another job applicant if you do not have any experience. In fact, many music companies would hire an applicant with experience who doesn't have a degree over an applicant with a degree and no experience. It is absolutely essential that internships - and any other experience you can get - are part of your college life. A music business degree program that has great classes, good professors, and sets its students up with good internship opportunities can be a wonderful investment in your future working in the music business. If the program doesn't have those features, then the name of the degree becomes somewhat irrelevant. You may be better served by choosing another major and crafting your own music-related opportunities. The bottom line about music and college is to evaluate the degree program closely and work as hard as you can to tap into the music opportunities on campus. In the end, you need the combination of education and experience - not one or the other - to do well in the music biz.